This lighthearted board book, published in 2007, is a sweet addition to the many parent-child mutual admiration society offerings. Two mice, Longtail (Daddy) and Littletail scamper about the forest and the trees playing every game from hide and seek to catch me if you can to follow the leader. At each juncture, Longtail catches his daughter and hugs her close. Short and sweet, this tender tale reinforces a daddy’s endless love for his daughter. Little girls and their daddies will read this bedtime book over and over. 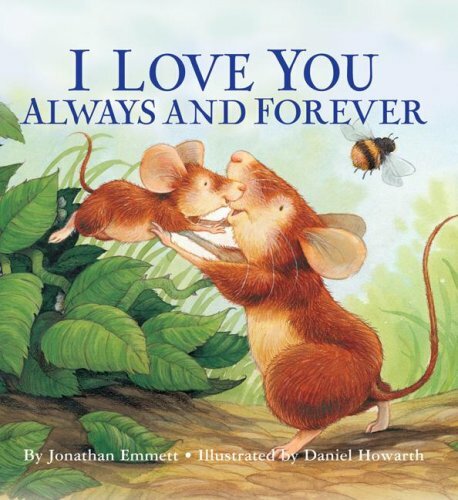 A Valentine’s Day, Father’s Day, anyday book for the littlest mice and their keepers.